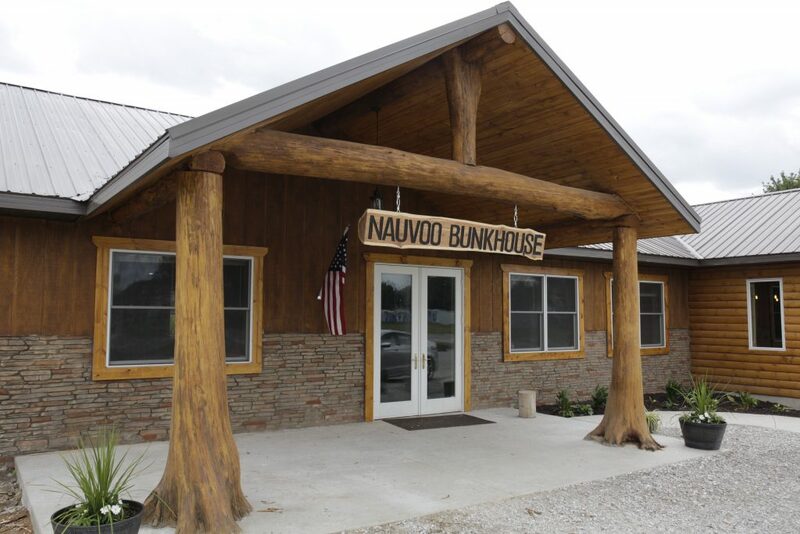 The Gatehouse, at Cottage Creek Estates in Nauvoo Hills, a resort community, is less than two miles from the LDS Visitors Center, and with a view of the Mississippi River, this location will be appreciated! 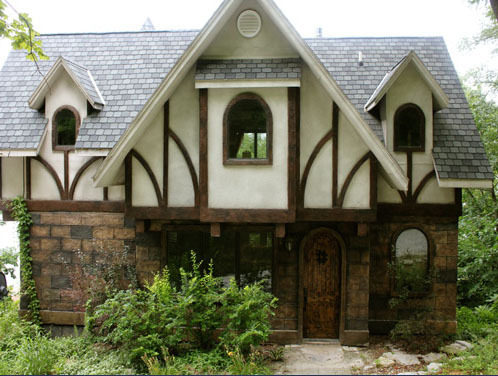 This old European-style home is the first “story book” home built in this new development. 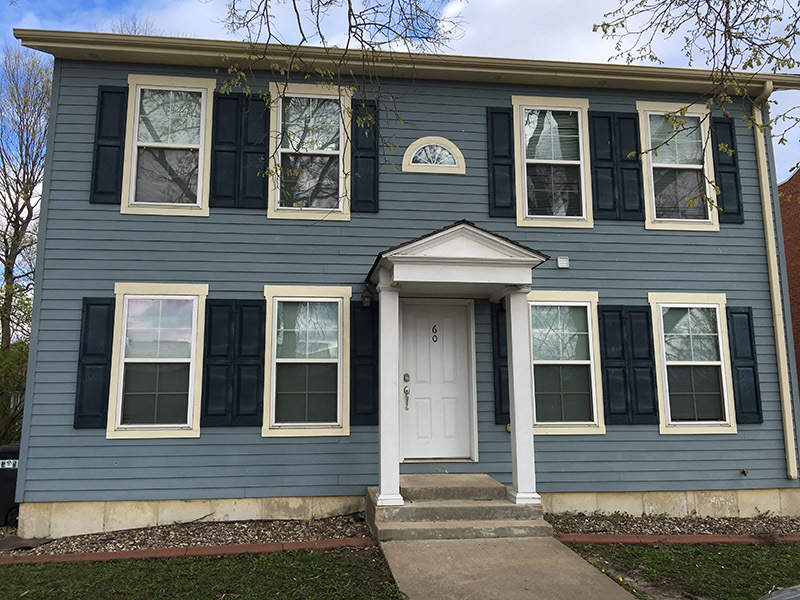 The complete home is three stories, but there is a lock off available on the first floor (Troubadour’s Quarters), allowing that unit to be rented separately, or with the main home on the second and third floors (Crown Court Suite). 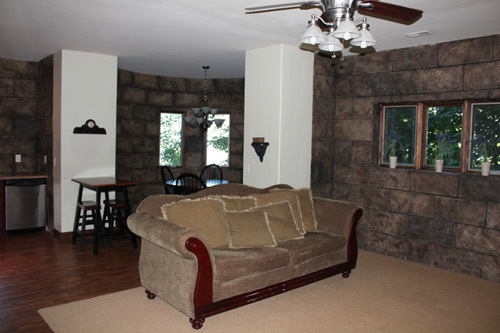 The Troubadour’s Quarters contains a great room with full kitchen, dishwasher, stove/oven, microwave and table for six. 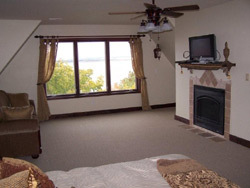 The great room has a queen-size sofa sleeper, gas burning fireplace, and flat screen TV. 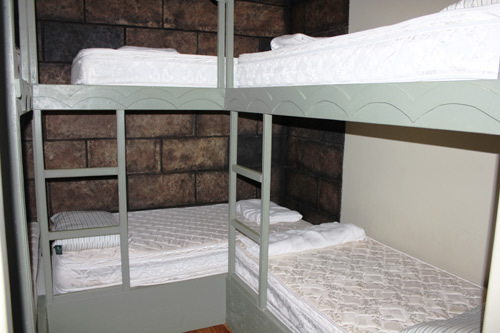 A bedroom has three built-in bunk beds, and there is a full bath with tub/shower combination! 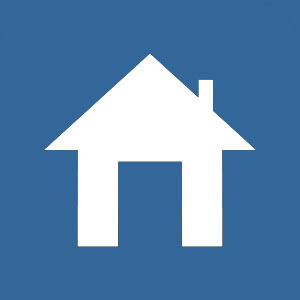 This level sleeps up to 8 and can be rented separately, or with the rest of the home. 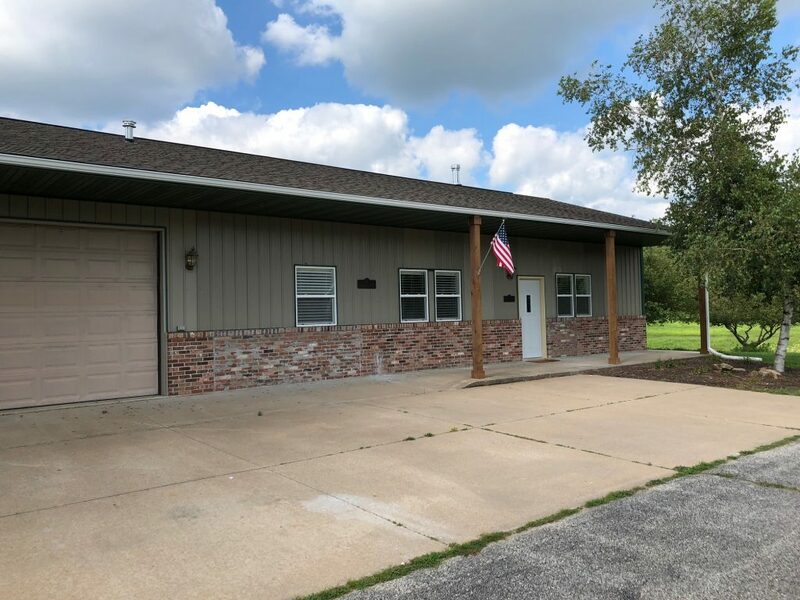 Since the home is built on a hillside overlooking the Mississippi River, the massive front door is located on the second level, opening up into a large living room with fireplace and flat screen TV, and beautiful view of the river. 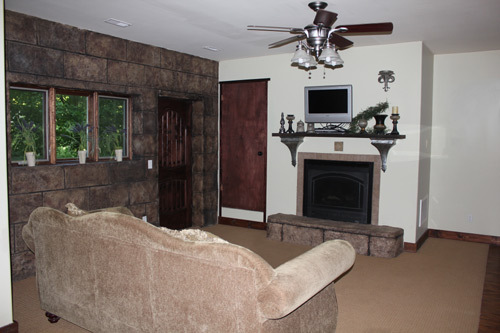 This living room contains two queen size sofa sleepers. 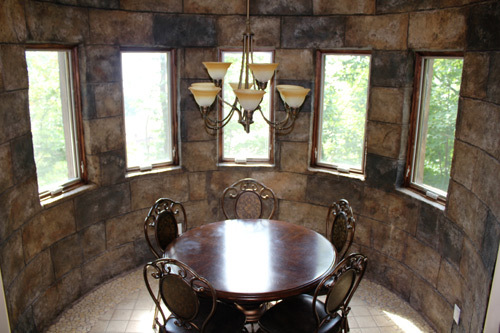 The full kitchen has Amish built cabinets, granite counter-tops seating four at the bar and with a table for six in the round turret. The full bath on this floor has a corner shower. 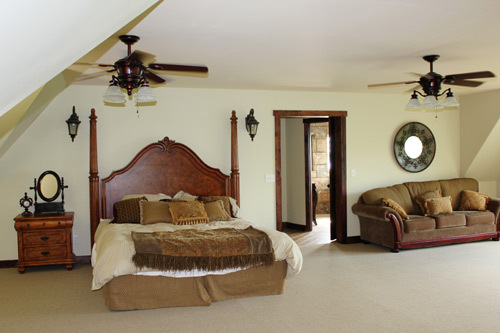 The third level is the master suite which is perfect for a honeymoon or anniversary occasion! 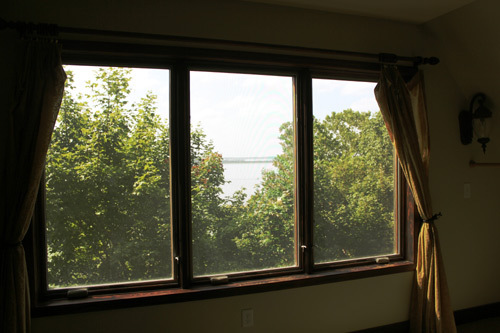 The view of the Mississippi from this room is spectacular! 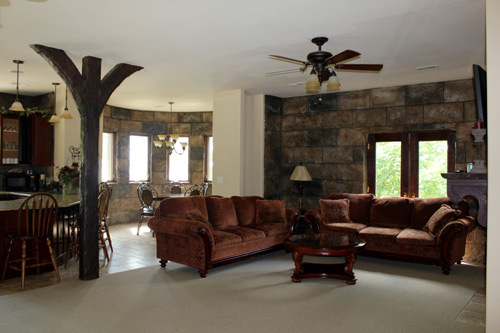 It also has a desk, gas log fireplace, flat screen TV, King size bed, queen size sofa sleeper, and another bedroom with queen size bed. 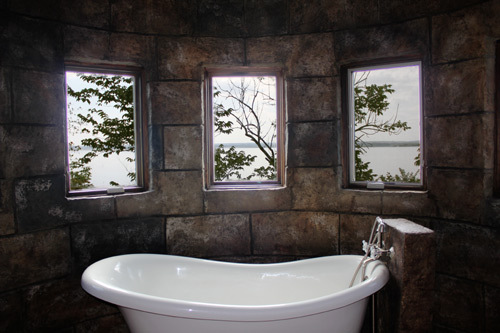 The bathroom in the round turret has two sinks and a beautiful four legged tub! 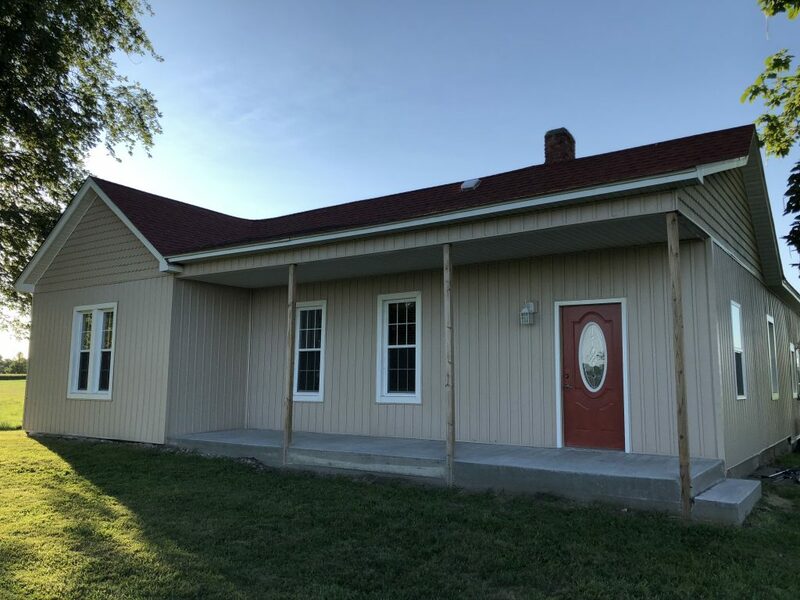 There is almost 1000 square feet on each level of this home with central heat and air conditioning! The first level can be locked off and will sleep 8. 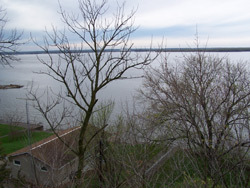 The second and third levels can be rented without the first level, and sleep 10. 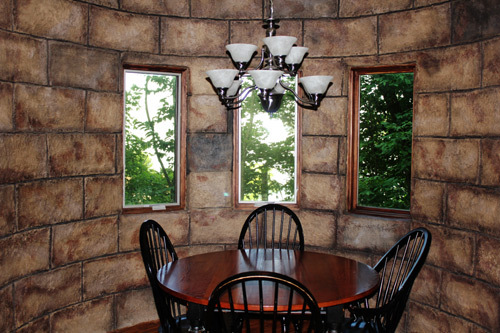 The entire home can be rented and will sleep up to 18! 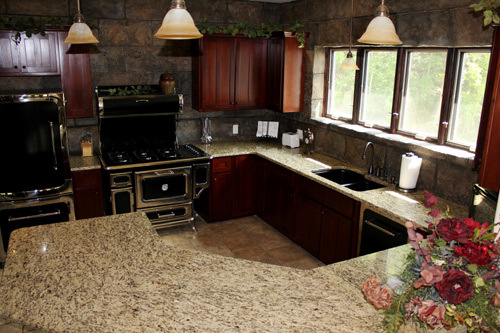 All utensils, dishware, linens, and towels are provided. 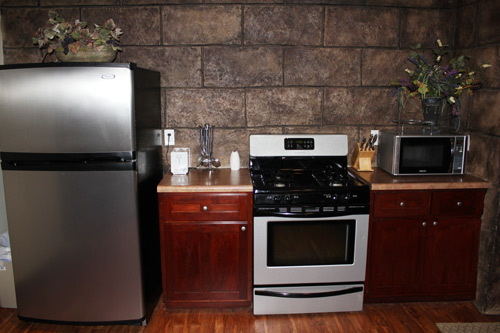 A washer & dryer are also provided for guest use.